Tracey is a nationally certified Recreational Therapist, through the National Council of Therapeutic Recreation, certified since 1983. Tracey has extensive experience in the behavioral health field specializing in Adjunctive Therapies and Program Development. She creatively uses Recreational Therapy to encourage resiliency and healing for participants. Her mission is to promote Wellness and the “Playful Spirit” for individuals, families, and communities to help manage and maintain a stress-less lifestyle. Tracey is committed to promoting emotional, physical, mental, and spiritual health and empowering participants to experience greater well-being and actively engage in creating positive lifestyle changes. She also enjoys assisting participants in the healing process using techniques that encourage self-care, personal responsibility and resiliency. Tracey has provided workshops and trainings for various populations including women, adolescents, teen parents, elementary school students, adjudicated/at risk youth and participants with recovery challenges. She enjoys designing an atmosphere where participants can feel safe to explore their own personal challenges, issues of self-care and lifestyle management, while learning alternative ways of healing. Utilizing the creative arts, her workshops are interactive and experiential addressing individual strengths and developmental assets to enhance awareness of positive choices. Her interactive and holistic approach to program leadership enables her to engage even the most resistant participant. The programs Tracey facilitates integrate Restorative Practices, a positive communication style at the center of the conflict transformation model. 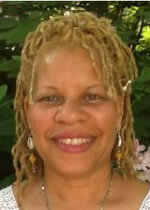 She is committed to assisting in the creation of peaceable communities. As President of Wellness Wrks LLC & Associates, Tracey assures that her organization provides workshops that introduce participants into the healing arts such asReiki, Music for relaxation, Meditation, Aromatherapy, Tai Chi Kung, Visual Arts, Yoga, and Dance/Movement. Tracey has provided consultation and professional staff development for hospitals, nursing homes, community-based, state, and non-profit agencies. Tracey’s clinical experience includes employment for ten years at Temple University Hospital, Department of Behavioral Health as Coordinator of Adjunctive Therapies, Director of Therapeutic Programs, and Director of Partial Hospitalization program. She has provided clinical supervision and department management for various disciplines and students, fulfilling the expectations of a teaching hospital, and served non-profit, municipal, government and private agencies in self-care and peaceable communities. Certified by the National Council for Therapeutic Recreation Certification (NCTRC). Tracey has facilitated several different group workshops at The Resiliency Center and is always looking for new ideas for how to bring wellness and recreational therapy benefits to the community. Workshops led have included Women and Wellness, Teen Wellness Leadership, and Wellness for Women of Color.